Mohammad Omar Khalil was educated in Khartoum, where he studied and taught at the School of Fine and Applied Arts until 1963. He later pursued his studies in fresco painting and printmaking at the Academy of Fine Arts, in Florence. In 1993, he was a resident artist at Darat al Funun, in Amman. Khalil's work comprises paintings, prints, and livres d'artiste. His work has been included in numerous exhibitions worldwide, including Perspective on Contemporary Art, Kinda Foundation Collection at the Institut du Monde Arabe, Paris, 2002, and Kunsthalle, Darmstadt, Germany, 2003. 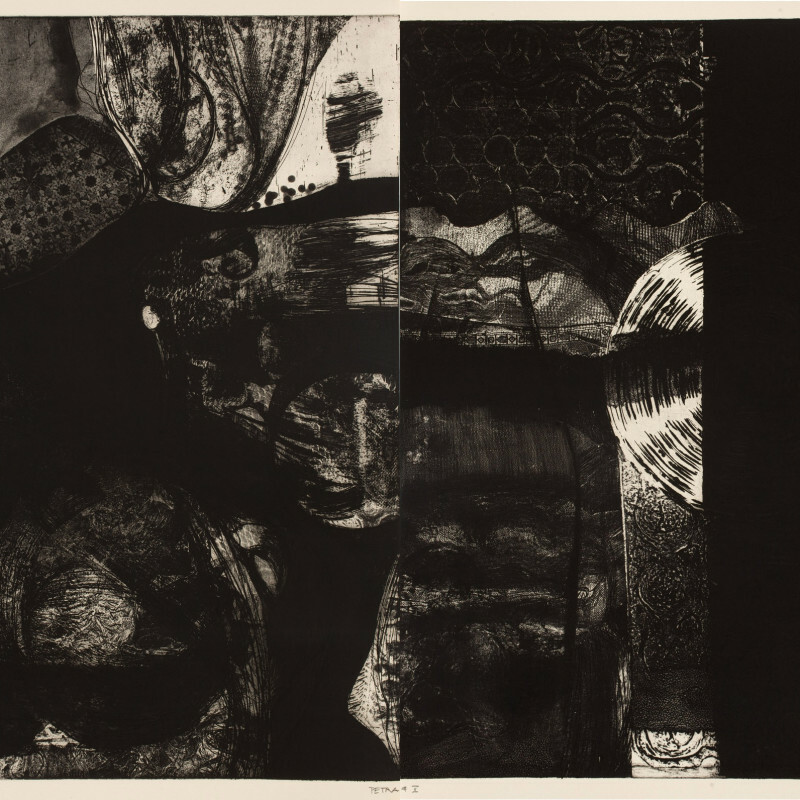 Khalil has received several awards, among them First Prize at the International Biennial, Cairo, 1993, and First Prize in Printmaking, National Academy Award, New York, 2003. He has lived and worked in New York since 1967.